It’s our annual Black Friday / Cyber Monday sale! You’ve been patiently waiting for this all year. This has become our biggest event every year. You can expect our best deals of the year on some of our most popular products. And as always, there’s FREE SHIPPING on most orders. Call us today to place your order. These deals are only here for a limited time (until Tuesday 11/27/18). Or while supplies last. Just scroll down to view the amazing sale prices, or – You can view all of these special deals and more here. Our first special is a killer deal you don’t want to miss out on. Just sign up for our Email Specials and you’ll get $100 off your first order valued over $2000 and $50 off your first order over $1000. It’s that simple. Restrictions do apply. Click below for details. This is our lowest price ever! This unique lift is truly one of a kind. Nobody has anything like it. It’s perfect for the home / hobbyist who wants all the features of a two post lift, but doesn’t have adequate ceiling height, or wants a portable option. This is a new variation of the original and still popular MaxJax lift shown above. What’s the difference? – Well, the main differences are that this model is ALI certified, and boasts safety locks that automatically engage. This alignment lift features an open front, allowing the technician to walk directly in between the runways without having to first duck down to get under the front cross tube. This feature speeds up service times, but also might save you from getting a headache if you know what we mean. These are sold as a complete package, including rolling jacks, turnplates, slip plates and air line kit. Three different lengths to choose from. Right now, Get $500 OFF! The AFF super duty ton shop press offers all the top features you would find on a premium shop press. These are serious presses for serious shop owners. They’ve got several different models to choose from, ranging from 50 Ton up to 100 Ton. And not only are they on sale at the lowest prices of the year, but you’ll also get a heavy duty steel hydraulic table / cart FREE with your purchase! We paired up our most popular tire changer and wheel balancing machines to give you some combo deals that are tough to beat. Choose from top brands such as Corghi, CEMB, Ranger, and Dannmar. Get them together now and save BIG! This is one of our most popular products. This transmission jack is so heavy duty, we call it The Beast. It will handle almost any job you can throw at it. And now we’re selling it for only $1252, plus, were offering the optional 3181 adapter kit at Half price..
AFF is one our favorite manufacturers. And they make some of the finest hydraulic floor jacks on the planet. And the 202T is one of our most popular. It has a low saddle height and the jack frame stays at a low profile for more than half the length of the jack, so you can get under all those low ground clearance sports cars. it’s on sale now for only $300. This jack is a steal at the current sale price of only $706 there’s no reason not to jump at this offer. This car rotisserie has become an extremely popular item for body shop owners as well as car buffs who are in to restoring their own classic cars. And we’ve got it on sale now for only $999 with free shipping. Dannmar two post lifts are ALI Certified and are available in symmetric, asymmetric models. Plus, you can get them for less now than they’ve been all year! These are the most affordable ALI Certified lifts we are aware of. PLus, now we’re also including an 8 gallon oil drain FREE! We recently set up popular You Tube personality Tommy Farrell from Tommy Fyeah Garage with one of our Dannmar two post lifts. Check out our video for the Dannmar two post lifts below.  Our prices are always super low here at ASEDEals.com. But when we throw in free stuff, people really love it. Well that’s what we’re doing. For a limited time, purchase the hugely popular JNC1224 and JNC950 commercial quality jump starters, and get the handy ESA30 Memory Saver Cord FREE! Plus, get a FREE ASEdeals tee shirt with your purchase. This is a $39 Value! This cord allows you to save vehicle presets and codes so you can disconnect the car’s battery to service it. Never lose your preset radio stations again! These are the finest commercial quality battery booster packs on the market. This one has it all. It’s not just a car jump starter. It’s got an LED task light, USB port, master on/off switch, extra long 68″ cables, and premium grade clamps that won’t let go. Plus, it’s got the Clore Pro-Former battery technology. Plus it’s got the Clore Service For Life coupon. So you’ve got peace of mind that if it ever breaks down, they’ll fix it. And don’t forget to take a look at the popular Booster Pac line of automotive jump starting units. These battery booster packs have been around for decades, and are the choice of professionals. Right now, we’ve got amazing deals on the powerful ES6000 and the versatile ES1224. Don’t Wait. These deals won’t last long. All sale prices are only while supplies last. You are currently browsing the Car Lift Blog blog archives for November, 2018.